KANSAS CITY, Mo. — The cold has reached Kansas City, but scammers are just starting to warm up. Mary Flann had a strange encounter late Wednesday in her Hyde Park neighborhood. "This feels a little sketchy, I'm not exactly sure what this is," Flann said. 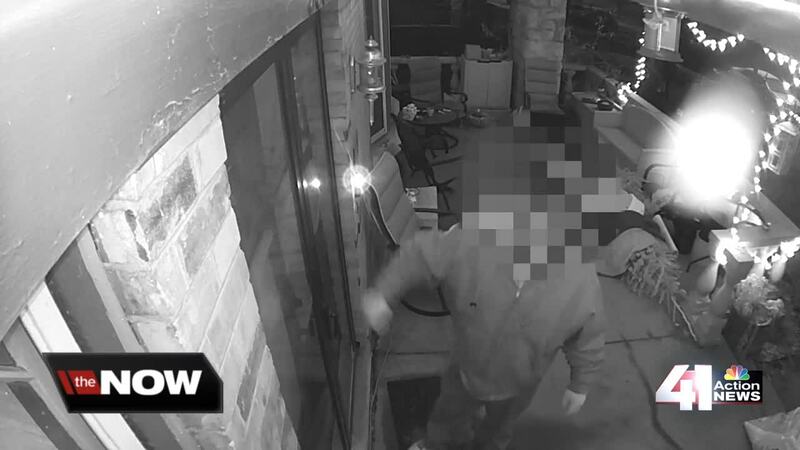 Home surveillance cameras caught a man walking up to Flann's front door and pretending to knock on it before she spoke to him through her Ring video doorbell. "He was just like, 'Oh, well I came and did work for you in your backyard before, I came and raked your leaves.' I was like 'No, you haven't done that for us, I think you're at the wrong house,'" Flann said. In the video, the man can be heard asking for a cup to use to salt the driveway. After Flann tells him no, he tells her the driveway was already salted and requests that she pay him $20. Flann didn't give him any cash, but instead posted the videos to a neighborhood watch group on Facebook. Some neighbors in the group recognized the man, saying they had similar encounters with him. Kansas City police said incidents like these are happening in other neighborhoods around the city. While soliciting is not illegal, other charges such as prowling or trespassing could be filed. "That's a suspicious party, and you don't know what they're exactly up to or what they're capable of. We will absolutely respond out on a suspicious party call and try to get that person to leave, to determine what they're doing and to stop what it is that they're doing," KCPD spokesman Sgt. Jake Becchina said. Flann and other neighbors said they feel safe and will continue to use social media so no case goes cold in their neighborhood. "That Facebook page has been super helpful in just keeping in the loop about what's going on," Flann said. Becchina said officers will be doing more patrol in the neighborhoods where the reports were made.